With technology constantly advancing, industries are always looking for ways to utilize the latest devices and innovations to help their businesses grow. Drones are one of the technologies many are looking into as their uses are becoming more and more vast as time goes on. One of the industries starting to adopt this technology is quarry mining and it has the potential to drastically change the way it operates. Currently, only about 3 to 5 percent of the industry uses the technology and that’s because some businesses are still evaluating the potential of drones. They are looking at things such as the accuracy of the data received from the drone, the timeliness of that data, how safe the drones are, and lastly its cost. 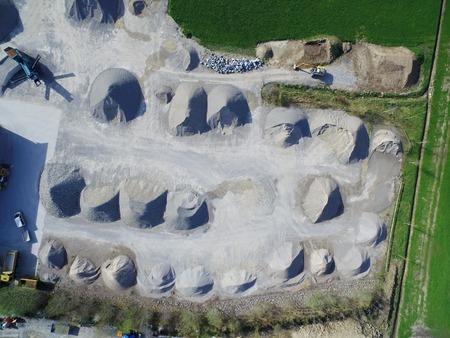 Once more are done evaluating, the adoption of drones is expected to grow to around 60 to 70 percent – and that’s only speaking about the next three years, according to Michael Singer, a co-founder of Drone View Technologies, speaking to Pit & Quarry recently. However, one of the tasks early adopters are running into is the question on how to use drones in terms of an operating perspective. They are trying to find ways to have the drones make them more efficient as a business and improve their overall daily operations. The companies that have figured out what they can best use the drones for are already beginning seeing benefits they didn’t think possible. On top of being able to obtain more accurate volumes and model topographies, they have also been able to complete assessments in a timelier manner. This allows them to get the best numbers possible as well as complete more assessments, essentially allowing these companies to do more business in less time than they were before. Drones can be very helpful, but they can’t do everything at a quarry, that’s where Rackers Equipment comes in. Located in Jefferson, Missouri, we offer the best in new and used heavy duty equipment for your mining or quarry operation. If you would like more information on our products, feel free to call us today at 573-635-8700 or take a look through our full inventory online now!